Last year XXL Magazine came out with a list of their top 10 freshmen rappers in the game and dubbed them the “Class of 2009”. You may know some of these rappers as it includes artists such as Kid CuDi, Wale, Asher Roth, and B.o.B. This year XXL debuted its “10 Freshmen for ’10” with the April issue featuring a bold tagline reading: A New Breed of Hustlers. XXL certainly didn’t get it wrong, as this year’s class is filled with “thug rappers” who bring back memories of the eighties when gangsta rap ruled the industry. As with any top 10 list, there are bound to be good/bad calls and this collection of rappers is no different, so I decided to make notes on each selection below. Future: Big Sean is definitely one of the good calls on this list, a rapper who has enough creative punchlines and swag to remain mainstream while still maintaining his unique flow to appeal to his underground fan base. He also finds himself in an interesting position being from Detroit, as there is the possibility he can carry on the tradition of Midwestern artists who rock the nation regardless of what coast they’re on. G.O.O.D. Music is definitely in the building! Noted For: Being 10xDeep’s favorite rapper, keeping it hipster despite being from Atlanta, and a former career in the military. Future: There’s no doubt Donnis can rap. His mixtape Diary of an Atlanta Brave was sponsored by 10xDeep and caught the hip-hop blogs by surprise, introducing everyone to an ATL kid who was not only skilled but rapped about things other than just the streets. But while Donnis has the rapping ability to stick around, how much of a presence does he have? Other than being a little weird, he doesn’t have a real significant style and that could hurt him. Let’s wait and see on this one. Future: Fashawn is dope! Dude released his debut LP Boy Meets World last year with production coming from heavy-hitters like Exile, The Alchemist and features from the likes of Blu, Evidence, and Planet Asia. 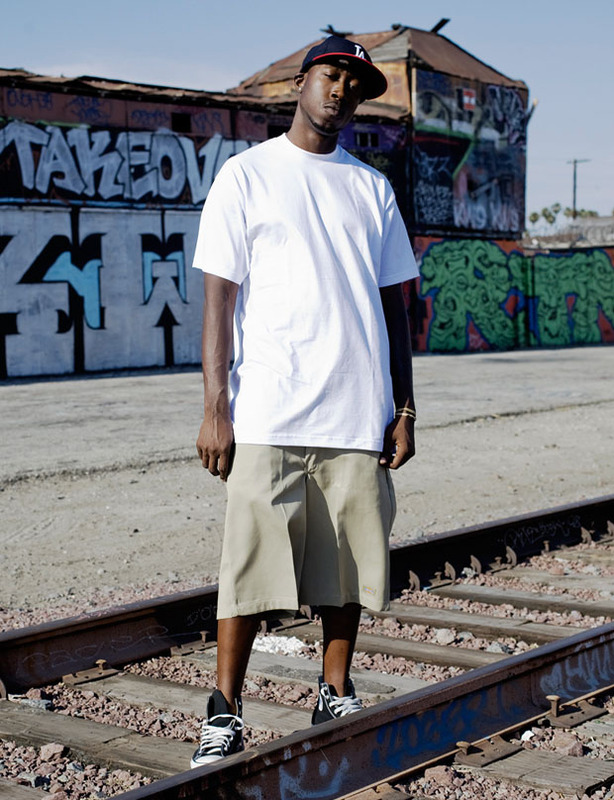 Fashawn killed it and had the music blogs talking him up as the future of West Coast rap (Complex Mag rated it their 13th best album of 2009), but as any “pure” rapper knows, the challenge is in overcoming the bias of the mainstream listeners. Can he escape the underground? We’ll see but know that he definitely has the potential to do so. Future: Freddie Gibbs is the future of rap! Despite being one of the most explicit artists I’ve ever heard, Gangsta Gibbs can weave stories and paint pictures like no other. 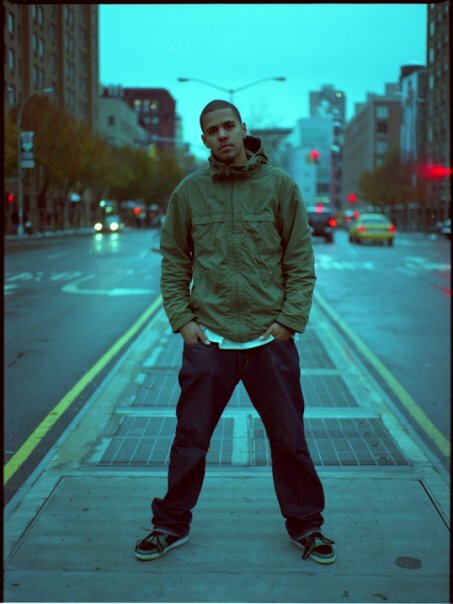 He has an incredible story to tell about growing up in the hood of Gary (one of the most dangerous/underprivileged cities in the nation) and he can do so in a way that puts him head and shoulders above most rappers (even the New Yorker wrote about him). XXL nailed this one. Known For: Aye! Aye! Aye! Aye! Aye! Aye! Future: With an alleged 32 mixtapes, a commercial album, and an XXL cover already under his belt, OJ Da Juiceman is a pretty unique case to make a list of “freshmen” rappers (there’s also the issue of whether he is a “rapper” or just someone who yells things that don’t make sense). Either way, OJ is here and maybe even to stay? He’s not the most “talented” lyricist, but there’s no denying that the Juiceman knows his area of expertise and sticks to it. I can’t throw my support behind this pick though, and I think XXL wasted a spot here. Reminds You Of: Young Jeezy, T.I. Future: Pill doesn’t mess around. Most of his songs are about the Atlanta neighborhood he comes from and it’s a place that he describes accurately. He doesn’t glorify his background, former jobs (hustling since the age of 11) or his crew. With raspy vocals, Pill sincerely spits about the things he knows and he does it well. Following in the path of Jeezy, Pill could be the next big thing to come out of the dirty south. Future: Reminiscent of Death Row-era Snoop Dogg, Nipsey Hussle flows with the stories of an experienced street vet. Including all the gun talk, cautionary street tales and odes to fallen brothers in his rhymes, it’s pretty much what you would expect from someone who’s spent a significant amount of time in the L.A. crip gangs. What holds him back is the lack of definitive lyricism that propelled his godfather Snoop to the top and the ability to expand his repertoire. Future: Jay Rock is essentially a Blood version of Nipsey Hussle. The differences between the two come in Rock’s distinctive baritone and his ability to tell a story. It may be the same tale as Hussle, Gibbs, or Pill but Rock knows how to spin some real lyrics over a dark beat (See: Say I Won’t Go). Unfortunately, whether he can transcend the gap between underground hustler and mainstream megastar will be his cross to bear, and his challenge over the upcoming years. Not a bad call, but XXL could’ve done better. Future: Possibly the superstar of this class, J.Cole will be to 2010 what Kid Cudi was to 2009. Linked up with a protege who should be able to harness his talents (Cudi had Kanye) Jermaine Cole has the well-rounded skill set to capitalize on his growing fan base and release an elite debut album (See Cudi’s Man on the Moon: The End of Day). Furthermore, Cole sounds like someone who should be able to keep the underground gathering happy while placating the demanding industry folk at the same time; this is the true mark of a superstar in the making. Future: The lonely stoner Khalifa may not be the deepest rapper, as most of his music focuses on one thing. But between an unmatched energy, strong lyrics, and a great work ethic, Wiz has dropped eight mixtapes since the early 2000’s and his music has finally manifested itself in the form of an album release this past year. Hopefully he stays on his hustle and continues to tell us about his smoke breaks, because he can be a real entertaining listen. What do yall think, did XXL get it right? Or should artists like Yelawolf, XV, TiRon, Jay Electronica, cARTer, Pac Div, U-N-I, Dom Kennedy, or Mike Posner deserve their spots on the list? What does your top 10 for 2010 look like? This entry was posted in News, Profiles, Special and tagged 2010 xxl freshmen, big sean, donnis, fashawn, freddie gibbs, j.cole, jay rock, nipsey hu$$le, oj da juiceman, pill, wiz khalifa. Bookmark the permalink. OJ Da Juiceman is the biggest piece of trash. XXL REALLY messed up. They really should’ve put XV on the list. Well done XXL. Well done. Sick article and a pretty good list. Idk, i feel like Mike Posner should’ve been here somewhere, but i guess he’ll get his fair amount of exposure from big sean and stuff. Jay Electronica should’ve been here tho, no question. Screw OJ Da Juiceman. But i mean…bread in the kitchen. i don’t see mike posner fitting anywhere on an xxl list. the man has good music but in the end, he doesn’t rap. plain and simple.